Vancouver - 2018 | Alzheimer Society of B.C. On March 7 at Vancouver’s Fairmont Waterfront, speakers Jason McLean, president and CEO of McLean Group and Board Chair of the Vancouver Foundation, and Dr. Robin Hsiung, a neurologist and dementia researcher, gave impassioned talks on their personal and professional connections to dementia. Guests inside the Fairmont Waterfront ballroom listen to keynote speaker Jason McLean, Board Chair of the Vancouver Foundation and CEO of McLean Group. Emceed by Global National’s Dawna Friesen, the seventh-annual event welcomed such notable guests as Vancouver City Councillor Adriane Carr and soccer legend Bob Lenarduzzi, who also spoke at the event in Victoria. 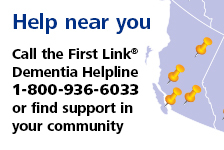 Alzheimer Society of B.C. Special Events Officer Glen Mountfield (right) auctions box seats to Whitecaps FC, with club president Bob Lenarduzzi, who generously donated the seats. Your support helped us break down stigma and build a community of care for people affected by dementia. Breakfast to Remember in Vancouver raised more than $190,000 to support British Columbians affected by dementia. Combined with the Victoria event, we raised more than $230,000 towards making B.C. more inclusive and caring for people living with dementia. Alzheimer Society of B.C. CEO Maria Howard addresses the crowd at the sold out event. Thank you to all of our volunteers, guests and speakers of Breakfast to Remember 2018 events in Vancouver and Victoria and a special thank you to all of our event sponsors.